Iowa is no longer the No. 2 wind power state in the U.S. The honor now belongs to Oklahoma, according to the American Wind Energy Association. The Association released figures this week showing Oklahoma had 7,495 megawatts of installed wind power capacity at the end of 2017 and trails only Texas where the capacity totals 22,37 megawatts. Oklahoma didn’t beat Iowa by much, but its wind power capacity is still more than the 7,308 megawatts produced in Iowa. Last year, Oklahoma installed 851 megawatts of new capacity. That’s more than any other state with the exception of Texas. 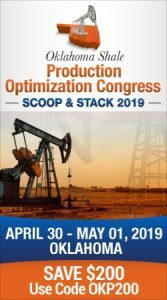 New systems built in Oklahoma included the Red Dirt and Thunder Ranch wind farms developed by Enel Green power North America and Tradewind Energy. The Redbed Plains and Rock Falls wind farms developed by EDP Renewables North America and EDF Renewable Energy were also added. 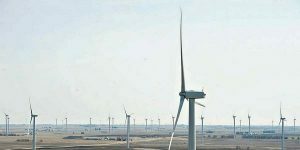 But other massive projects are in the works for the state including the 2,000 megawatt Wind Catcher wind farm in the Panhandle that’s being developed by American Electric Power and Invenergy. It will be the largest wind farm in the U.S. once it is completed. Other projects are under construction to supply 1,366 megawatts of production in the state. Nationally, 29 new wind farms were built in 16 states, adding 4,125 megawatts. The country’s total capacity in 41 states is 89,077 megawatts, enough to supply electricity to 26 million homes in the country. But those figures are changing because projects are under construction to add another 13,332 megawatts in capacity.